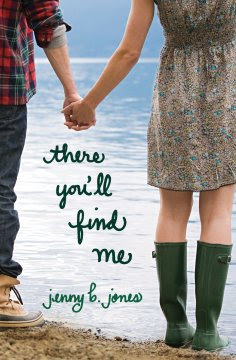 When I read the description for 'There You'll Find Me', I thought it sounded like a great story, so despite not being the target audience I gave it a shot. Finley is an 18 year old girl who had went through a very rough period after the loss of her brother Will. In an effort to find the God that her brother had written about in his travel journals, she decides to follow his footsteps to Ireland. On the way, she meets Hollywood heartthrob vampire, Beckett Rush (think Twilight). Despite her immediate dislike and efforts to stay away from him, she eventually finds herself falling. But while there is a great romance here, that's not all the story was- we also meet the mean girl, determined to make life miserable and a bitter elderly woman, Mrs. Sweeney whom Finley was assigned to help as a class project. These were all weaved beautifully into the story along with deeper issues of struggling to reach perfection and ultimately finding God in the beauty of Ireland. Despite, once again, not being the target audience, I found myself in many ways relating to Finley in her issues with anxiety and trying to make everything perfect. The story was so well written that aside from the characters ages and a few typical teen themes, it could really be enjoyed by a much larger (and older) audience as well. I always love books that paint a great picture in my head of the places I'm reading about and I must say that this was definitely one of those. Several times throughout the book I found myself telling my husband that I'd love to go to Ireland one day!! Overall, I really enjoyed this book and I look forward to reading more by the writer! You can purchase 'There You'll Be' here! *I received a copy of this book free from Book Sneeze in exchange for this review. All opinions are my own.